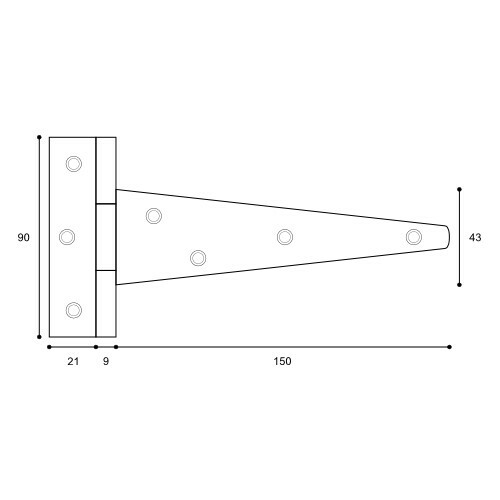 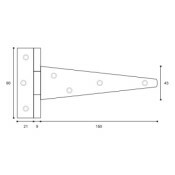 An English pattern 120 strong steel T (Tee) Strap Hinge for general purpose use and manufactured from heavy gauge mild steel for more demanding applications. 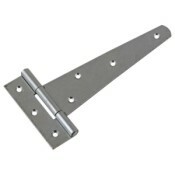 This smaller version is often fitted to lightweight service cupboard doors. 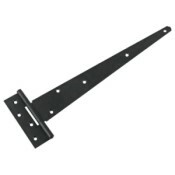 The Dull Black finish is suitable for internal use but can be used externally if properly maintained. The Zinc Plated finish should be used internally only. We DO NOT recommend either finish for coastal areas or other harsh environments.